We make Websites Better, Faster and Easier to use. We also make them get found more often on search engines which delivers more visitors that turn into customers! All these can help optimise your website and get you more traffic, visitor interaction and customers. Contact Us to optimise your website today! 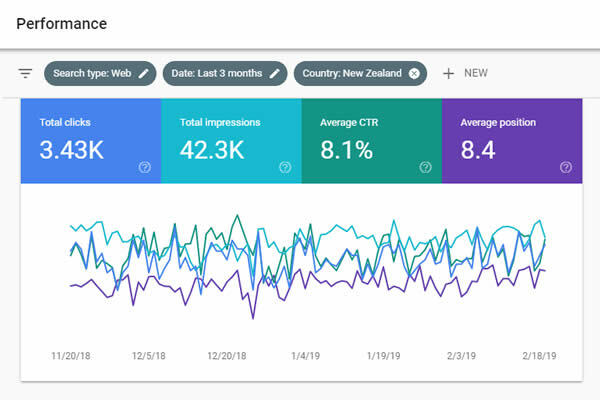 We will submit your website to relevant New Zealand and International directories and perform site wide SEO based on relevant keywords and phrases for your website. This will get you listed on Google and other search engines and get better rankings. We cannot guarantee you a first page results for all your keywords but we can guarantee you better results. For Guaranteed first page listings we can help you with "Pay Per Click Advertising" schemes like Google Ads - We are Google Ads certified with specializations in Search Advertising and Mobile Advertising. Using meaningful link text, semantic HTML content and micro-formatting along with relevant site structures can greatly increase the ability for search engines to understand your content and therefore better index and list the pages of your website. We set up XML site maps, robots meta tags / robots.txt files and use canonical links. We also submit the site to the major search engines and directories as part of our Website Marketing Services. 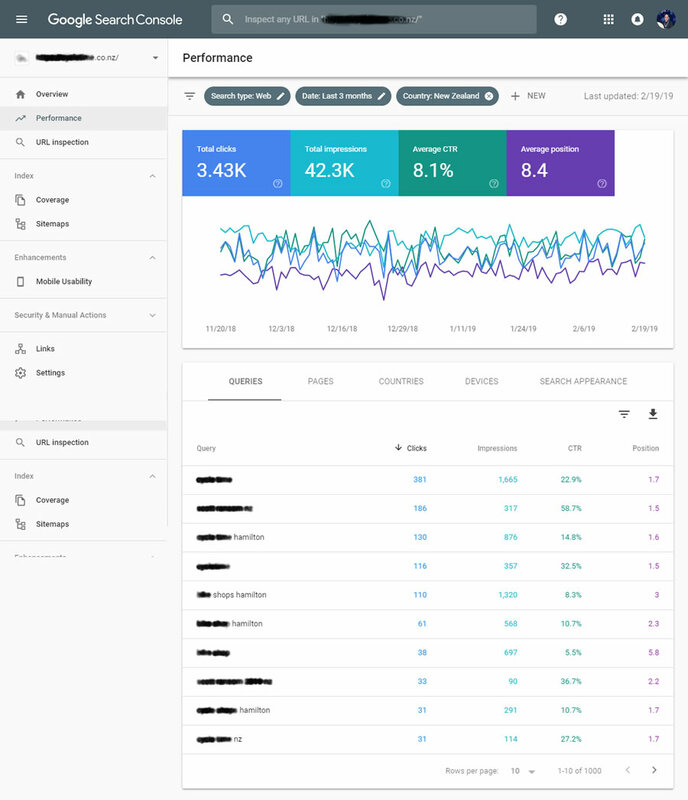 To monitor and optimise the indexing and performance of your website we use Google Search Console and Google Analytics. We can increase the performance of your website - optimising page loading speeds. We can probably make it faster! Faster websites lead to a better user experience. Page speed conversion rate research has proven that faster websites generate more conversions and repeat customers. There are many case studies and experiments demonstrating the impact of web performance optimization on user experience and business metrics. User experience is the accumulation of the feelings and emotions you generate within yourself while consuming a product, a service or while using a system. This includes your perceptions of how delighted, satisfied, or unsatisfied you feel while using that particular system, product, and/or service. Why do we need User Experience Optimisation? If you want to achieve success on you website then you must work towards a good User Experience. The reason for this is quite simple – When your visitors do not undergo positive emotions and experiences while browsing your website, they are more likely to close your web page and move elsewhere. However, if you provide a good user experience to your visitors, chances are they will spend more time exploring your website, find what they are looking for, and do business with you! Thus an optimized User Experience leads to increased more happy customers. User Experience Optimisation is all about improving the quality of visitors interactions on your website. Making your website desirable, accessible, user-friendly, functional, and reliable. User Experience Optimisation encourages your visitors to re-visit your website, do more business with it and also refer other customers. Conversion Rate Optimization is a method of measuring improvements and using visitor feedback to improve the performance of your website. Based on your goals or KPI's - sometimes this involves making your call-to-action more apparent or placing it on a traffic-heavy (but under-optimized) page. At other times this means removing or relocating unnecessarily complicated or time-consuming steps from your conversion funnel, as the added friction can prevent a conversion from ever happening.